We are clearing out the cold weather clothes and stocking the Thrift Shop with spring merchandise. The End of Season Sale is the week of February 25th. Savings are 50% off on Tuesday and Wednesday; 75% of Friday; and Saturday 90% off. No CMS/Military discounts. Dressing rooms will not be available on Saturday. 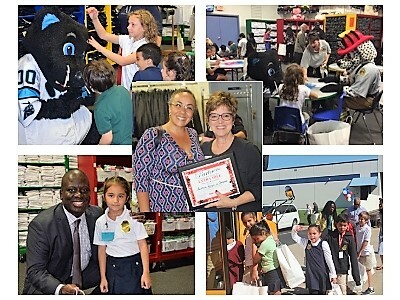 Operation School Bell® Media Day Open House Success! Assistance League of Charlotte to the Rescue!